Explore the cuisine and culture more deeply and you'll discover that the different regions of Thailand boast their own distinctive flavours and flare. The Central Plains, Thailand's rice bowl, are characterised by freshwater-fish recipes, sour soups and curries, while the tropical South with its Muslim traditions offers bountiful seafood and dishes enriched with coconut, cardamom and cumin. I-san of course, is influenced by Lao PDR., so here you'll find hot papaya salads, cured and raw meat and simple, tasty soups, perfect for filling the bellies of the region's hardworking farmers. 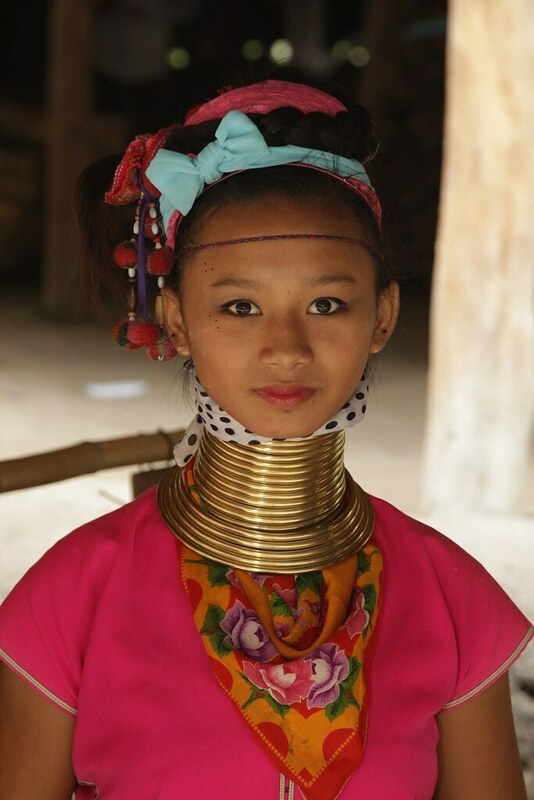 But it's the food of Thailand's North that attracts the most culinary converts. This region has long been influenced by Myanmar, China and Lao PDR., not to mention the kingdoms of Sukhothai and Ayutthaya. And, as kingdoms have risen and fallen, they've all left their mark on Chiang Mai's cuisine. The countryside and climate too have shaped the region's food. Cooler Northern climes mean hot chili is seldom used to disguise spoiled food – a more warming heat comes from galangal and peppers. Fewer palm trees in the region mean coconut dishes are traditionally rare while many Chiang Mai dishes have a distinctive bitter element, thanks to shoots and leaves collected in the local forests. You don't have to stay in the city long to understand why the local pork, fermented, fried or cured is so famous. Nearly every Thai visitor to Chiang Mai comes home laden with bags of crispy pork rind to share with friends. Pork fat is also used for frying, though the health-conscious, if not the traditionalists, can usually request that vegetable be used. Food culture in Chiang Mai is eclectic. The city is a culinary sponge with chefs and foods from around the world finding a home here, and blending in with the region's long-standing traditions. Even the city's most famous dish, Khao Soi, with its rich curry sauce is thought to have originated with Sino-Muslim traders. It's this internationalism in Chiang Mai's food that makes it so approachable to this day. The city boasts sublime international restaurants alongside the family-run snack shops and street stalls selling tasty Northern treats – indeed the food is one of the things that makes a trip to the northern capital so memorable. Visitors short on time, or seeking specialised knowledge about the city's cuisine should join one of Chiang Mai's food tours. Among the best-known of these is the Chiang Mai Night Food Tour, an off-shoot of the award-winning BangkokFoodTours.com. You're driven around the city's best food eateries and stalls, accompanied by guides who can explain not only the ingredients and cooking methods that of each dish, but also provide a potted history of the city's landmarks. Those who have more time should join one of the cooking classes. The tours start by the historical Tha Pae Gate and attract a range of participants, from full-on foodies to people seeking a new way to see the city. 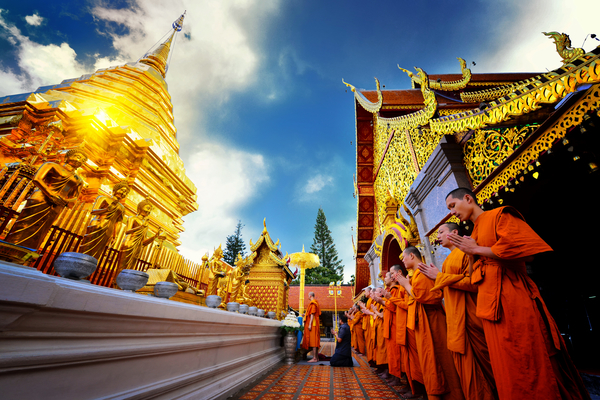 As you set off past Wat Mahawan, the evening chanting of the monks is heard in the wind; after all, Chiang Mai is a religious as well as culinary city. There are distinctive Burmese elements in the ornate architecture of Chiang Mai's temples, a reminder that the kingdom of Lanna was influenced by the Burmese for over two centuries, a period that has left its mark on the food as much as the buildings. Just around the corner of the temple, stop off at the little roti stall of Auntie Dae, a famous Chiang Mai resident of Pakistani origin who, for 30 years has sold freshly-made, sweet and savoury roti with cheese or condensed milk and sugar from her little stall. These tasty snacks are both a treat and an energy boost while touring the city. The favourites are always the popular. Phat Thai may not have originated in the north of Thailand, but if you're doing a Thai food tour, this much-loved dish can't be missed, and Chiang Mai has stalls that cook Phat Thai to perfection. So don't worry when your guide takes you down a little alley crammed with people. They're all waiting to enjoy delicious noodles served piping hot on banana leaves and covered with a thin layer of egg. Of course, where food comes from is as important as how it's prepared. This is why the tours visit Chiang Mai's Warorot Market, the oldest in the city. Chefs come here to stock up on ingredients, and you can snack on freshly-made treats, experience the scents and sights of a bustling market, and pick up tips on choosing herbs, spices and fruits. The tour is great for first-time visitors, as they enjoy a guided expedition of some of the city's best sites including cultural as well as culinary attractions. Most memorable is the amazing Wat Suan Dok, founded in 1370, and home to the cremation urns of Chiang Mai's old royal family. The amazing statues of King Mengrai the Great of the Lanna Kingdom, King Ramkamhaeng the Great of the Sukhothai Kingdom and King Ngam Muang of Phayao Kingdom, pivotal characters in Thailand's history also create an impression. And the communal feel of the tour is what appeals to visitors. You explore the city knowing you'll learn something, make friends and enjoy some tasty treats along the way. This is why evenings end with a drink in a rooftop bar with a city view. It's a great chance to further friendships with fellow foodies and plan further culinary adventures. There are several food tours as well as cooking classes on offer in Chiang Mai. Examples are http://chiangmaifoodtours.com/ and www.thaifarmcooking.net/home/ Some hotels also offer exclusive food tours for their guests.